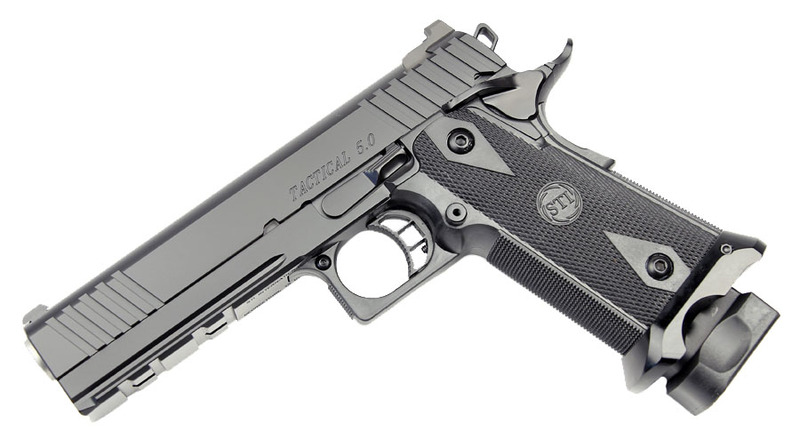 The STI Tactical is a 5" double stack 2011 with an all steel frame. Double stack 17RD capacity keeps you shooting longer and reloading less, and its full length accessory rail lets you attach a variety of rail-mounted lights, lasers and other accessories. Features a tough Cerakote finish, all black fixed front and rear sights, bull barrel, extended magwell, and an ambidextrous safety.